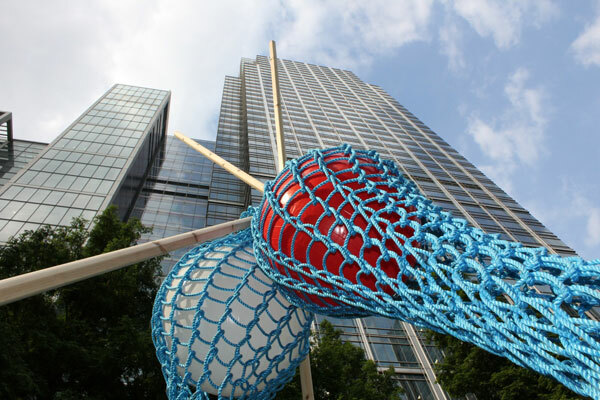 Superblues 'Giant Knitting Nancy' was launched onto the public at Canary Wharf. There was not a ball empty during lunch break as all the office workers joined in. See more photos from our first day in the park. The 'Giant Knitting Nancy' is a collaboration between Dan Preston (Sculptor), Holly Packer (Jewelery Designer) and the Superblue Team. 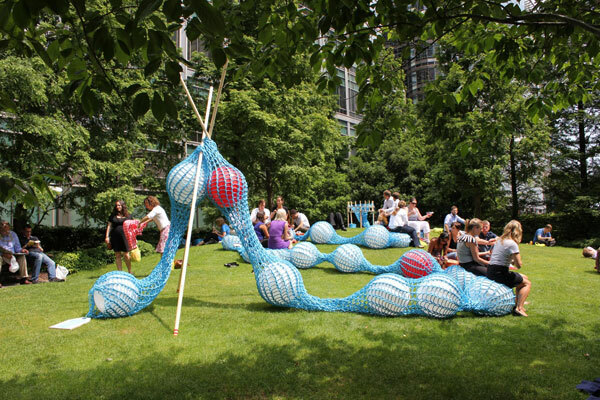 Over 72m was knitted by over 100 visitors during the weekend of 25th - 27th June on 2 Giant Knitting Nancy to create the exciting seating structure defining the space at Jubilee Gardens, Canary Wharf. 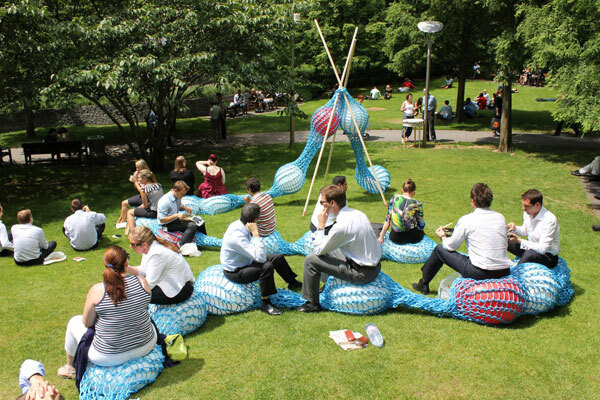 Following the London Festival of Architecture theme, “The Welcoming City”, large-scale knitted structures will create an architectural seating unit that weaves through Jubilee Park, inviting visitors to sit and play as they enjoy the pleasant green environment in the middle of Canary Wharf. 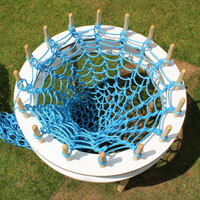 The design is inspired by the traditional Knitting Nancy, a much-loved knitting toy which has been scaled-up so that visitors can participate in the knitting and making of the installation. The space and installation reflects the theme of “The Welcoming City” via exploring and celebrating together the woven, knitted structures and cultures that turn London into a distinct, unique, welcoming place. Everyone was invited to try out the Knitting Nancy’s for themselves, or simply relax and enjoy the ever-growing seating structure. 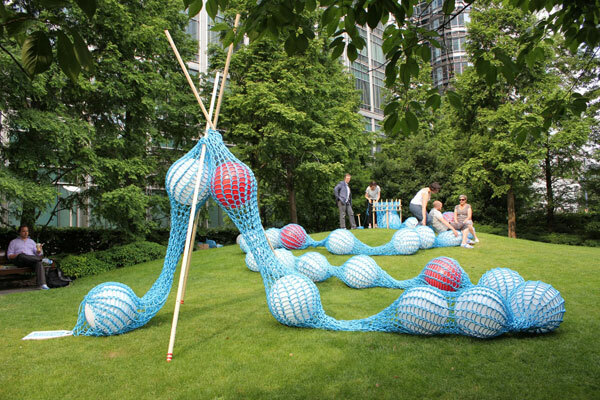 Superblue’s ‘Knitting Nancy’ was made in Canary Wharf, by EVERYONE.